Street Parking and Lot available. The Fat Lady also offers accommodations for private and semi-private events in our banquet room. Enjoy the uniqueness of dining with us in our beautifully appointed and restored 1884 Victorian Parlor that showcases the elegance and rich history of Jack London's Waterfront. We pride ourselves on tailoring your event to create an occasion that you and your guests will not soon forget. Our team of professionals are experienced in orchestrating catered affairs for your special events. The Fat Lady banquet staff can help you with your event design, floor plans, audio/visual needs, floral arrangements, entertainment (musicians and DJs), and offers wine and cocktail services. A family affair, our banquet services will ensure that no detail is overlooked. Our experienced and knowledgeable banquet staff are ready to help you plan your party! A family owned and operated business since 1970. 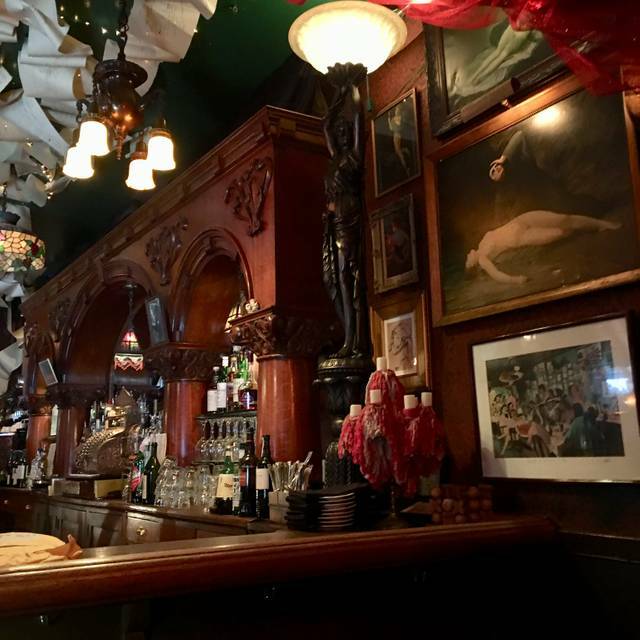 The Fat Lady is known as one of Oakland’s finest lunch and dinner houses. We can accommodate private as well as semi-private banquet rooms. 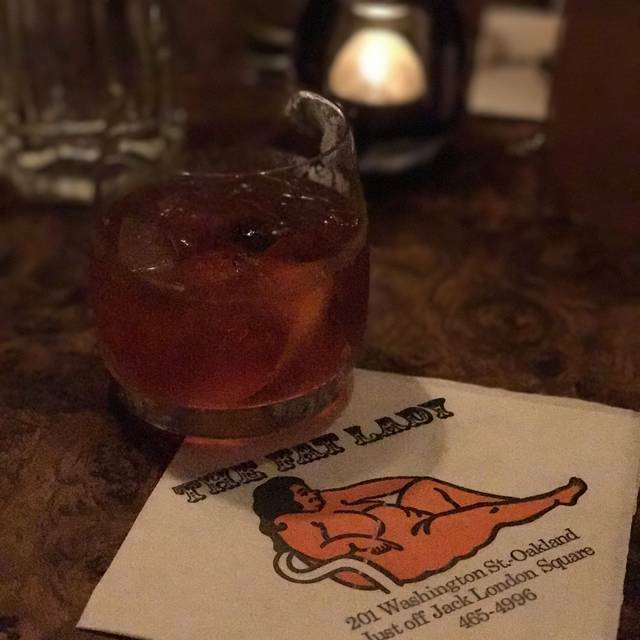 Formerly a brothel, the Fat Lady offers an ambiance that is warm, intimate and unique to the Bay Area. The Fat Lady offers parking validation which offers discounted rates in the public lots. Great food and service. It is loud and noisy. Especially enjoyed the dessert. The waitress offered suggestions and recommendations. I went for the first time, during lunch, to celebrate my cousin's birthday. The service was wonderful and the food was fantastic. I definitely want to come back for brunch or dinner. I would recommend making a reservation. Excellent food with outstanding g service. The ambiance is nice as well. Everything was excellent except that they were out of several wines on the list. Otherwise, 5 stars. Very nice if eclectic setting for a get together. Good food, good service, nice drinks. Wanted to see their private dining room upstairs but it wasn’t open for viewing; maybe another time. Food and Service were both good. It is one of my favorites. A very cool and unique did it experience! It's OUR spot for Girl's Night!!! We love it!!! We'd like more variety in the appetizers. While the ambiance is eclectic and delightful, the food is a bit serious. Our first visit to The Fat Lady was for my birthday and, as foodies, our fingers were crossed. We were delighted! The interior is fun (and reduces the noise level, I would think.) Our server, Stephanie, was terrific, and we enjoyed every bite of the Pate appetizer and the chicken and salmon dishes we ordered. It was a delicious dinner, and the décor made it fun and inspired memories of great old restaurants in San Francisco. We highly recommend The Fat Lady and have plans to come back for lunch next. Thank you! Love the funky, escape-from-the-70's atmosphere! Solid, traditional, well-executed food with well-trained service. Make a reservation; popular place. A relief from the ubiquitous hipster-ism of all the other JLSquare places. Don't miss the fried zucchini, which will spoil you for all other restaurants' versions. Decent steak, good lamb chops, and love the calamari steak which is so hard to find these days. Also, a good brunch altho very popular. Parking on street or in city garage across the intersection. Overall very good. The negative issues are how close the tables are to other dinners and the comfort level of the chairs. Food was amazing. Service was great. Our new favorite spot. One of the few family-owned restaurants left and the only family-owned restaurant in JLS. No cookie-cutter corporate environment here. Ambience and decor one-of-a-kind. Like walking into a unique New Orleans French Quarter bar. The food, though not unique, is perfectly prepared. Drinks are carefully crafted and properly served. Lovely place. We has our 30th-33rd anniversary dinners here. A great classic place with good food, bar and classic ambiance. Lsolid place if you’re looking for a good steak dinner and a Moscow Mule to go with it. First time here and it certainly did not disappoint. 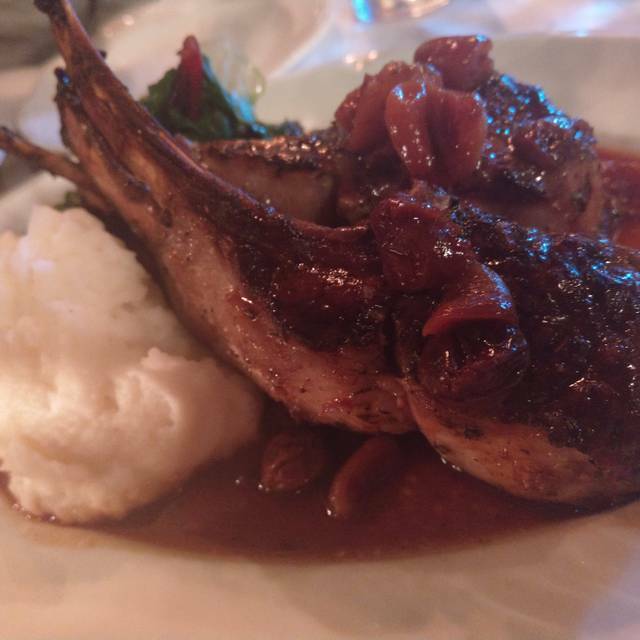 Great atmosphere, wonderful food, and the right amount of service. Great energy. Love the atmosphere and the staff was very accommodating and nice. The bartender, Brandon, was cool and they have a nice selection of wine. The food was delicious, we got French onion soup and Chicken Marsala. I highly recommend this fun old school bar and restaurant at Jack London Square. This was the second time that our visit to the Fat Lady was not up to par. For the past two visits, we have been seated back by the kitchen even though in both occasions we had reserved a table a week in advance. Was also disappointed to learn that for a party of five there is a gratuity charge; usually in my experience this type of charge is reserved for a party of six or more. In any case, the food as usual was very good though the service was a bit slow possibly due to understaffing. I will still frequent the Fat Lady but will request seating in the main dining area rather than in the back room. It need to be explained to your host that you should never say something like "Not to rush you, but there are other tables waiting," when there were three other open tables, we were not taking a considerably long time to finish dining. It ruined the nice dinner we were having with my aunt and uncle, and we will be hesitant to return. Homey, nutty, historic neo-brothel interior that's lots of fun, the food is excellent, and the people are friendly. A terrific neighborhood establishment. Great place for good conversation and/or hosting a parent from out of town. Thought this might be a touristy spot, but the menu was interesting, the food was really good and the service was wonderful. Had a delightful dinner, not too expensive, and interesting venue. Excellent service, very good food, ambiance is unique. This is a favorite restaurant. Keep coming back. Great staff, good food, interesting decor that changes seasonally and of course the jazz soundtrack. It's a little bit like going back in time. Really nice ambiance in here. Loads of authentic character. Food was good. Prices as expected. Would have been 5 stars except I ordered a dry gin martini up with olives and it came with a twist. When I told our waitress I asked for olives she said I’ll be right back, and brought me some on a pick. Does she not drink at all? Teetotal, perhaps? She totally missed the point. My drink tasted like a lemon grove. It should have been remade. I guess I could have insisted on that but sometimes I don’t wanna come across as a jerk. Otherwise great. Delicious and perfect date spot!!! Such a cool venue! Interestingly decorated and aesthetically appeasing. Had a special on the winter menu, gnocchi with goat cheese.. delicious! Flat iron steak was excellent and the meyer lemon pudding cake was devine. Would have both of them again. Stephanie was so friendly and gracious. Service was excellent. Food was good to great, depending on what we ordered. Flat Iron steak was ordered medium rare and one end was medium rare while the other end was very rare (chewy). Please take better care to have head chef check food before it goes out the door. Thanks. The restaurant nicely accommodated the change in group size which was appreciated. Not being willing to provide more than one check per table was a pain point. My meal was ok, the bread pudding was not great. The buss staff was super at keeping our water glasses full. Had a great lunch today. The lamb shank was near perfect. My whole group moved their meals. Service was a bit slow at the end. Not a big deal but I had a meeting to get to and it was annoying to flag server down for the check. Eceltic decor. Great food! The pork chop and Maine lobster ravioli were amazing! Small space, reservations recommended. Always lover our dinners at the Fat Lady. This time I took my mom who was visiting and she loved it too! It was a little weird they still had all their Christmas décor up (on Jan 26) but oh well. I just love their normal décor so was a shame it was hidden underneath. Alice was our waitress and she was wonderful and attentive. Food was delicious and drinks were yummy!